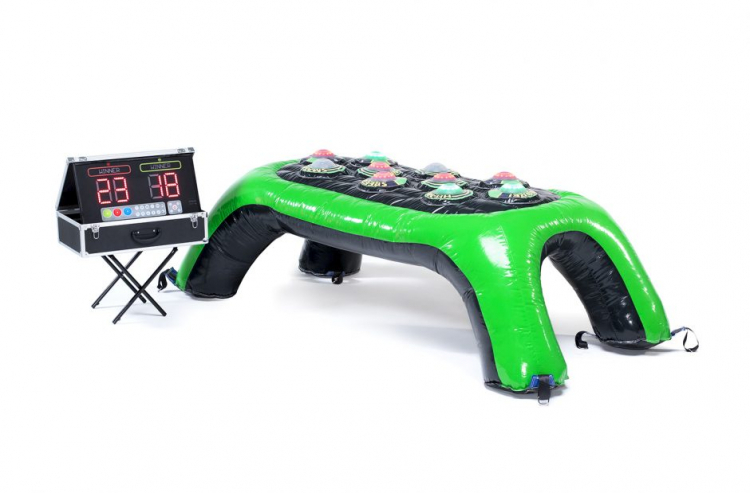 This inflatable is fitted with 10 spot holders that surround you and your opponent. Your objective is to use hand-eye coordination, endurance and competitiveness to hit the most lights and win! The Battle Lights turn color and produce sound when they are triggered. Speed, accuracy and head-to-head competition makes this high energy, fast paced game awesome for all ages!